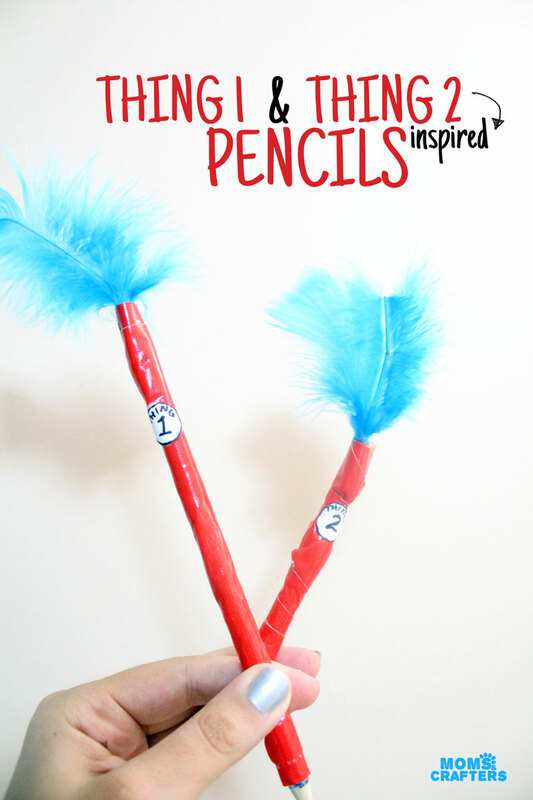 I know I am a little early for back to school, but these Thing 1 and Thing 2 pencils are really great for any time of year! 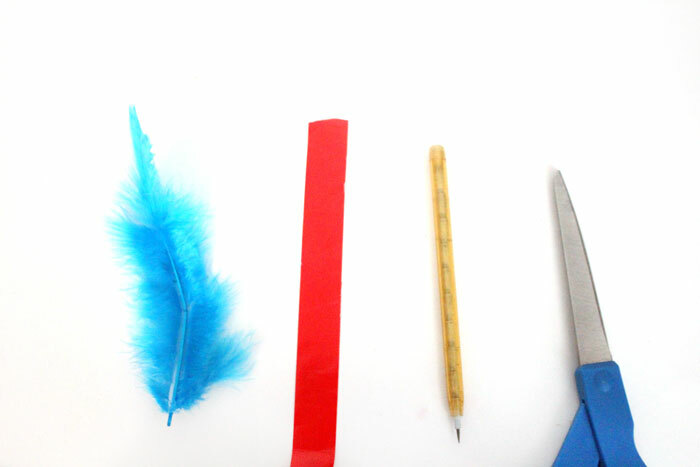 I was challenged this month to create something feather-realated and thought I’d jump in on the “back to school” bandwagon a little early. So bookmark this for reference, or pin it for later by hovering over the image below, because your little ones (and your big ones) are sure to love this craft! 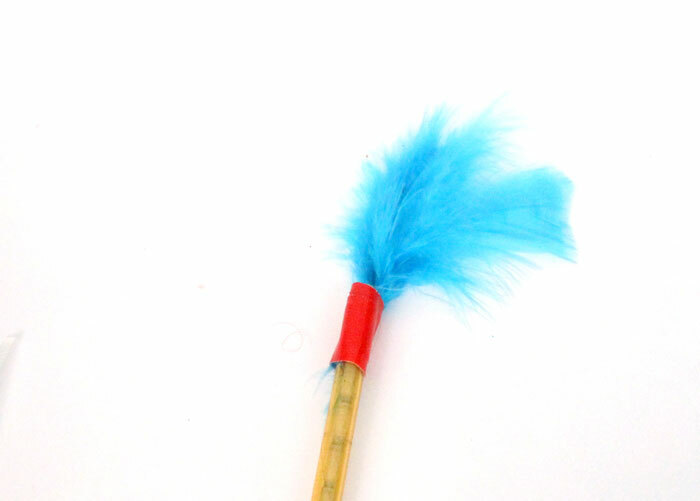 These pencils are great for young children who are fans of Dr. Seuss. I actually also had them in mind for slightly older children, and tweens, who want a fun gift to give a friend for back to school. I though the “Thing 1” and “Thing 2” part of it makes for a great friendship gift – give one and keep one. I used a very cheap duct tape I got off ebay but I don’t recommend doing that. Go for one of the real brands, not a knockoff. On mine, the duct tape does not stick as well, and the narrower tape makes for a messier job than a wider tape would. Lesson learned: with duct tape brand definitely matters! At first I made one using a regular pencil, forgetting that duct tape won’t sharpen. 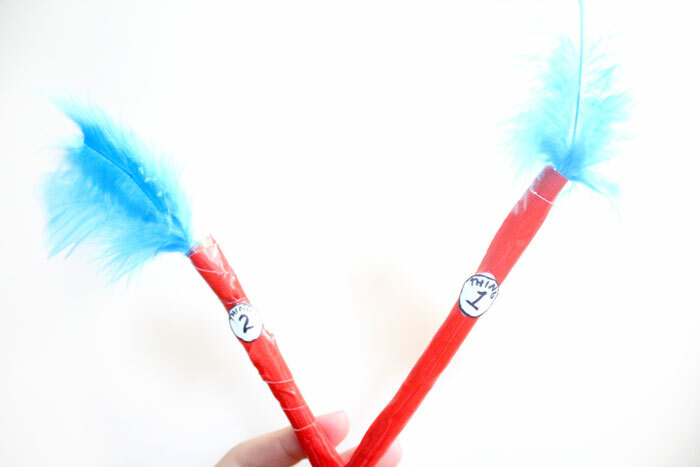 If you want to make it using regular wooden pencils, just use a red one and duct tape the top only. 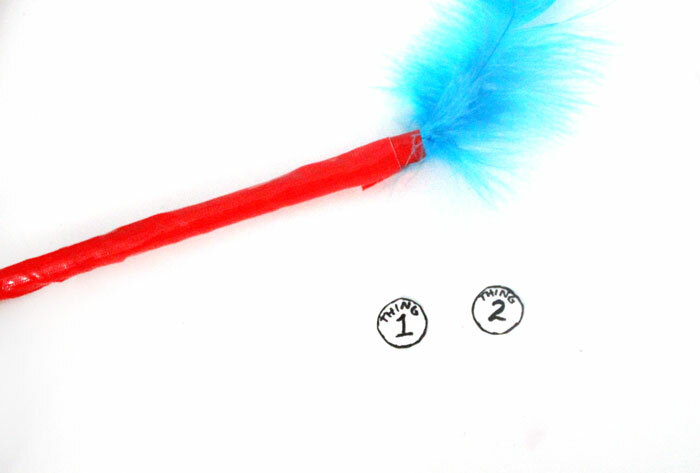 Otherwise, use a pen or a push-point pencil as I used on Thing 2. 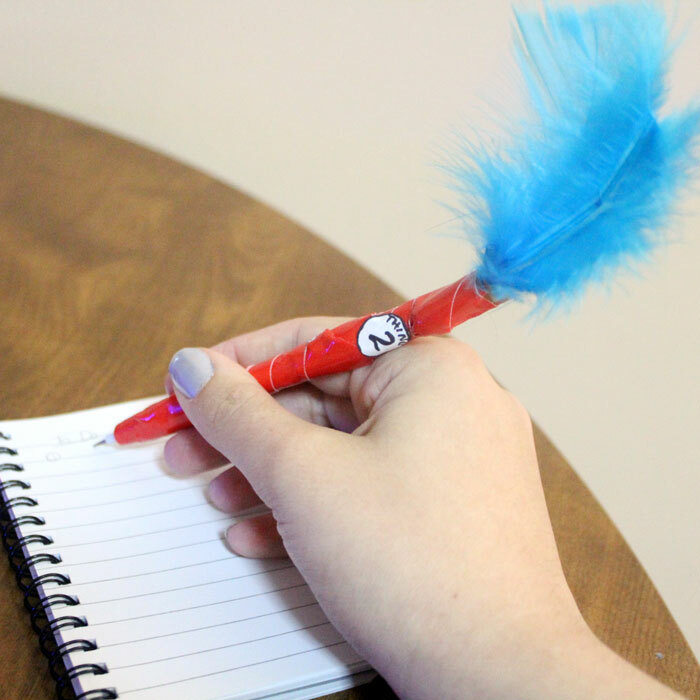 Make sure your writing instrument has a plain top – no clickies or clips! 1. 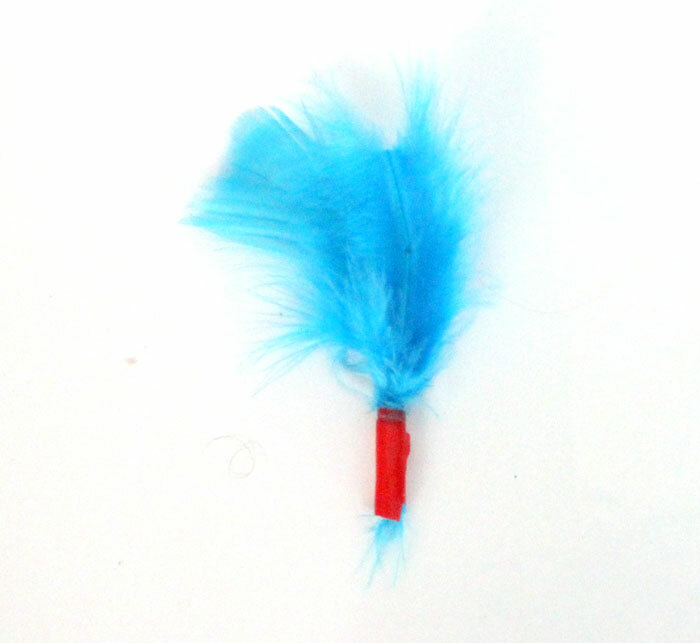 On Thing 1 I left the feather whole, on Thing 2 I cut it in half. If you cut it in half, you can make it easier to attach by first attaching them to each other. 2. 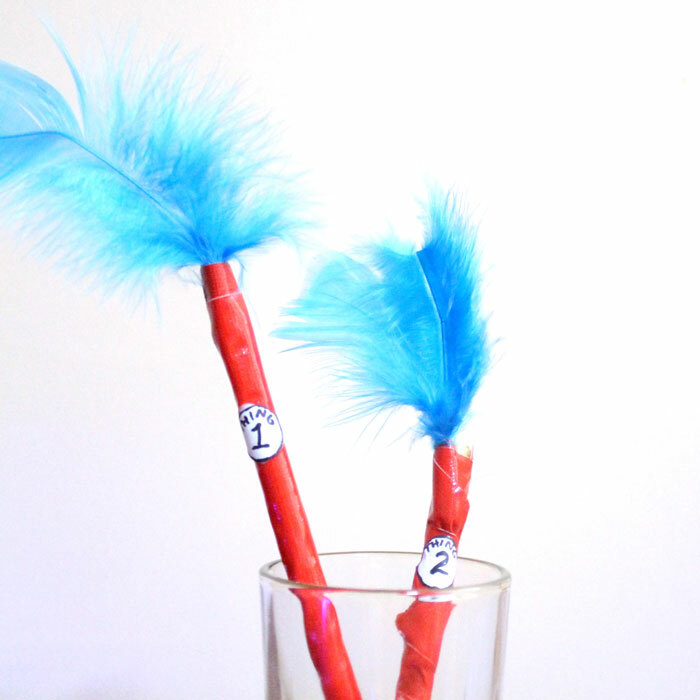 Attach the feathers to the top of the pencils using a little bit of red duct tape. 3. Cut a nice, long piece of duct tape – but not longer than you can handle. Begin wrapping it around at an angle. If you run out, you can just cut a new piece and continue from where you left off. Wrap the entire pencil. 5. Glue them on using tacky glue, and allow them to dry before enjoying and giving one to a friend! 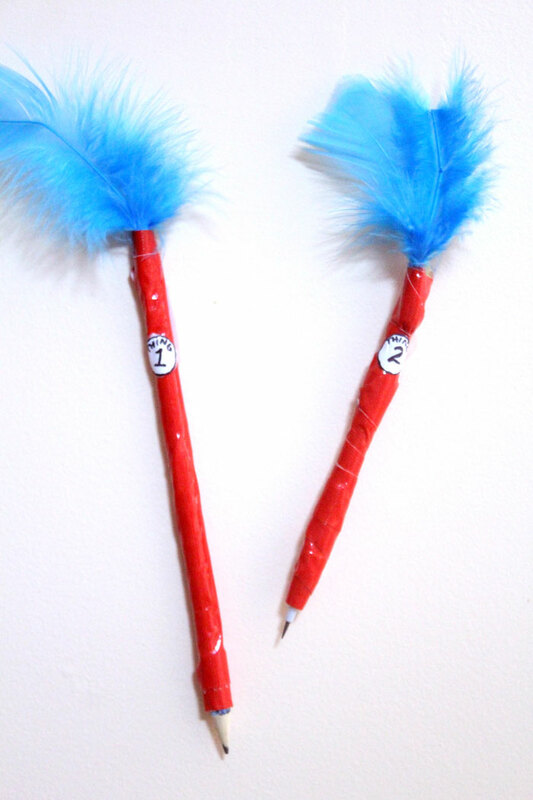 Aren’t these Thing 1 and Thing 2 pencils just adorable? I think so! Autumn crafts, Crafts for kids, Crafts for Teens, Quick and easy crafts. Bookmark. Oh I love these! We may need to make some next week.